A statement of the problem: When I was little, I went to church with my family each Sunday. There were services morning and evening, with Sunday school in the afternoon. Since we lived more than a mile from the church and had no car, this level of commitment was actually very high. However, since that was all I knew, I did not complain … at least not very much. Get out of the head and into the heart. I remember having favorites among the people at the church, and there was one in particular, Mrs. Ward, who was in charge of my section of the Sunday school. Looking back I have no idea why I liked her so much more than the others; I simply felt drawn to her. In later life I have observed that children can often have very strong personal likes and dislikes for no apparent reason, and Mrs. Ward (I never knew her first name) was one of my likes. This particular lady, together with her husband, was one of those people who fall into the “almost indispensable” category in a parish situation. Apart from the Sunday school, they were both involved in all sorts of other activities; my fondness for her had many opportunities for expression since she was at the church every time I was there, and I was there very often. As I grew older, however, I slowly became aware that, from my parents’ point of view, this hard-working couple were not quite the ideal people that I had imagined them to be. I am not suggesting anything untoward here – far from it. They were upstanding members of the community, somewhat conservative in their views, and very much at home in their own particular religious tradition. However, what gradually became apparent to me (probably over ten or more years) was that while they were very good people under most normal circumstances, if they happened to be present in a meeting (of any kind) they always managed to be opposed to the majority view. Moreover, their m.o. consisted of stating their opposition repeatedly, loudly and (almost) obnoxiously, and their performance often culminated in the ultimate threat: to leave the church if their views were not accepted. This pattern of behavior was as predictable as it was successful, and they almost always got their way. In our house, the phrase “the Wards are anti” was a common way of describing any situation where tenacity and closed-mindedness won the day. In my later years as a pastor and parish priest, I have been successful in finding people just like the Wards in almost every parish I have worked in: good, well-meaning people, hard-working and admirable in every respect except that if you find them in a meeting where views are being expressed (which is almost all meetings), they turn into raving banshees, incapable of seeing that it is possible to have a point of view other than their own, and shouting down any and all opposition to their vision of reality. 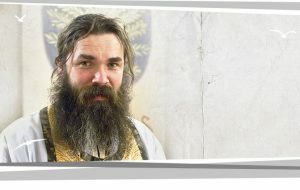 Indeed, sometimes such behavior gets so bad that one wonders how the church manages to survive at all, since in many cases you will see and hear things at annual meetings, parish councils and similar gatherings which would have to be categorized by an observer as “un-Christian.” Not just in meetings either. I learned the hard way that if a parish community is going to misbehave and turn into warring factions of undiluted hatred and boundless egotism, it is likely to happen either just before Easter (or any time when there is large scale flower-arranging) or, in the case of the particular parishes I served, in connection with the annual Greek Festival. People are tired and restless at such times, and even small difficulties can become pretexts for all-out war. What exactly is it that turns pleasant, supportive people into raging maniacs? Raiding the treasures of secular psychology, I would hazard a guess that people behave like this when two things happen – when they lack a clear self-image of themselves (i.e. they are not quite sure who they are in a given situation) and when they are engulfed by, and identify entirely with, the needs of their own ego. What happens in meetings is that everyone present faces the temptation of using the occasion for a bit of ego-boosting. Of course, this does not occur on a conscious level, but it happens nevertheless. Ego-boosting is a very natural thing to want to do, even if it is not on the agenda of the meeting (which, of course, it is not… at least not in any obvious way). So, when looking at the agenda of a meeting, everyone present who feels insecure about their role in the parish (almost everyone, including the clergy, office holders, and certainly everyone who expects to be influential) looks to find an item when they can project their ego, even if just a little bit. Let me give some examples: Someone may want to remind the parish that they do the flowers every Tuesday – as if anyone would dare forget – so under “any other business” that person may ask a rather pointed question about the possibility of such-and-such a family having a memorial service on that day, “which is inconvenient for me since, as everybody knows, I am a very busy person and I do the flowers on Tuesday.” The point of the exercise has nothing to do with flowers, or Tuesdays, but is simply to elicit sympathy, a commodity greatly treasured by the ego, and to let everyone know how complicated and important the person’s life is. Another example: Someone may have very strong views about Sunday schools. Everyone present at the meeting has heard this person talking on the subject many times before, but since his or her views have not been adopted as general policy, this person finds it necessary to talk at length about the subject once more. The unspoken title of the speech is actually “I am not being listened to” and not, as one may imagine, “Sunday schools.” So, in item seven there is something about the Sunday school wanting money to do something or other, and the possessor of the ego says, “Aha… this is my chance.” What results is yet another example of a lengthy list of the insecurities felt, rightly or wrongly, by the speaker, and expressed in terms of what the Sunday school needs to do. Of course, nobody points this out. They are too scared. It belongs to the nature of the ego that it loves strong views, preferably the ones belonging to its owner. Strong views give people identity, make them feel important, give them an excuse to stand up and address the meeting, and above all they give one the satisfaction about being right about something. The ego loves to be right, more than anything else in the world. As Orthodox, we have a particular relationship with the concept of “rightness.” It is actually written into the title by which we most often call our Church. I always thought “Orthodoxy” should be translated into something approximating to “right-glorifying” or “right-praising.” Indeed, I think I am right in saying that in Russian this is precisely what is meant by pravoslavni. Recently I have learned that the original Greek word also (or rather) contains the concept of “right teaching” (from dokeo, I teach, rather than doxa meaning glory). Whichever interpretation is correct, we need to bear in mind that infallibility, in terms of Orthodoxy, lies at the heart of the experience of the whole Church, but not in any present-day decision, nor in the voice of any one person. The very idea that infallibility can be exercised in some active sense by one person (even a bishop, or a patriarch) is repugnant to Orthodoxy. Everything needs to be tried and tested against the experience of the Church of every age before it can be said to take on an infallible quality. However, to listen to some bishops speaking (let alone parish priests, parish council presidents and other local worthies) one would imagine that infallibility was a very common commodity indeed. The faith of the Church is infallible. 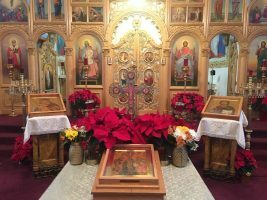 This means that I do not have to be – or to be more precise, it means that at no point does my ego have to feel that it is responsible for the truth of Christ expressed in the life of the Orthodox Church. Moreover, my internal experience of faith is usually expressed in terms of holding strong opinions about things, while, in reality, faith and strong opinions are quite different from each other. Indeed, holding strong opinions is not particularly useful in one who is a member of the Body of Christ. The louder we proclaim our opinions as a matter of faith, the more difficulty the Holy Spirit has of being heard. “Being right” takes numerous forms. Sometimes simply stating how wrong everything is makes one feel right by comparison. Snatching the moral high ground (simply because no one else has) is another way. Members of the clergy have a particularly difficult task in ensuring that the exercise of their ministry is not one of ego-boosting. Sitting in a meeting, it is very tempting for a priest to attempt to show all the skills of leadership that he may be required to display in the secular world, including being the figure-head, the source of authority and the person with the most influence in the parish. Some bishops may actually encourage this sort of leadership from their priests, since parishes run along these lines may appear to be the most successful, or at least require the least maintenance. In the Church, however, the dynamic of authority and leadership is quite different from that which is deemed to be successful in boardrooms, union meetings or political parties. Coercion, manipulation and power-ploys are not the required tools. Members of the clergy, in particular, need to turn back time and time again to the Gospel sayings in which leadership is genuinely and obviously viewed as a mode of service – not in any metaphorical sense, but in a straight-forward “down on your hands and knees washing feet” sort of way. Whether regarded as the seat of passions or merely as a piece of fiction, the ego has to be placed aside before any such leadership-as-service can be exercised. The most powerful weapon in the repertoire of the clergyman is to bring his people back time and time again to the words of the Gospel… even during Church meetings. The really bad stuff happens when a person at a meeting, priest or parishioner, identifies totally and completely with the needs of his or her own ego. This state is akin to being completely unconscious – a form of being absent. What is actually required is a state of very profound presence. In times of peace, the ego sits around doing not very much, being just a small part of who a person is. Always on the look out for attack (such as someone pushing ahead of you in a line, or someone forgetting to use your correct title), it meanders through existence adding color, but very little else, to a person’s particular version of reality. However, when an ego gets challenged, it swells out to enormous proportions and can take over the operation of the entire person. Anyone standing nearby needs to take care and watch out, since the ego is vicious when threatened and there is very little anyone else can do except wait for it to subside to its more normal dimensions. From one point of view, an ego actually consists of pain and draws strength by feeding on the pain of others. It is entirely natural, then, that egos should provoke others, hoping to cause a painful reaction in those around them (in this case, the other people present at the meeting) so that they can have a good feed. Sharks feeding on a fresh carcass are tame by comparison. The trouble is, when one person starts doing a little ego-boosting in a meeting, he (or she) is likely to be a threat to … every other ego in the room. This is how the ego sees the world: “I can only be absolutely sure of who I am if I know that I (and my entire world-view and everything about me) is safe from attack by you … and your world-view and everything about you.” Moreover, the ego long since discovered that the easiest way to defend is to attack, followed by a quick retreat behind an emotional wall which (as should be obvious to everyone) if you dare to breach, will result in me being well and truly “upset” … and you know you don’t want to do that. I once worked for a bishop who used to run the diocese in a very idiosyncratic way and whose main tactic was to present things in such a manner that no one could challenge his actions for fear of upsetting him. As systems go, it worked very well, and may have been very productive if he had been the chairman of a company. The Church is not a company, at least not in the commercial sense. At meetings, one of the favorite moves of the ego-booster in us all is to restate the problem being discussed, which everyone already knows, but in such a way to make the speaker feel better about him or herself – guilt-free, self-righteous or simply condemnatory. From the ego’s point of view, condemnation, whether justified or not, stems from a sense of superiority, so even if nobody present notices or cares, it still feels as if it has won a point by speaking out against something. The result of a great deal of ego-boosting breaking out in several parts of the meeting room is the chairman’s (or the priest’s) worst nightmare (unless that person is also busy ego-boosting, in which case he will be too unconscious, too lacking in presence, to do anything about it). The meeting is no longer about whatever was up for discussion… it is now to do with power: manipulation, brinkmanship, drawing lines in imaginary sand, who can make whom do what and, ultimately, who has the strongest ego. Each person is equally (and indelibly) convinced that he or she is defending a point of view which is right, which thus justifies what is going on. Sometimes, in fact, everyone is in their head… no one is really present at all. This is a far cry indeed from the virtues listed in the Beatitudes. Ego-boosting may be an entirely appropriate way of spending your time, unless (of course) you are committed to walking the spiritual path. Members of a parish are, by definition, on a spiritual path (even if we need to be reminded of this fact rather often). Ego-boosting is not something we need in the Kingdom. A solution: The Fathers give a number of clues as to how to learn from this sort of experience, and what to do about it. While fully aware of the necessity to use the God-given ability to think, they point out that there is a dimension of thinking which, far from being helpful, actually hinders our spiritual progress. They called these thoughts the logismoi, and I think it is fairly safe to identify this word with the stream of thoughts which constantly and often very obtrusively courses through our minds almost twenty-four hours a day. These logismoi are the source of most (if not all) of the turmoil in our lives. They are at the root of every sin, and provide an environment for the ego to develop. In fact, outside the context of these thoughts, these “logismoi,” the ego does not actually exist, since it needs the atmosphere of fear and desire which the logismoi create in order to be real. Since fear and desire have no obvious place in the Kingdom of Heaven, it is part of our spiritual walk to brush these thoughts aside… put them behind us, and to start to approach God in another way. The mind (or the head) is the playground of thoughts, and thus also of emotions or feelings which are the means by which the body reacts to these thoughts. (Here, feelings and emotions are linked to the mind, and not to the heart, as some would expect).Thoughts and feelings have no subtlety about them… they are unmistakable, even when they are difficult to interpret. For example, when someone is angry, it is usually obvious to everyone present that that is the case. Quite why the person is angry might be a little more difficult to understand. The “nous” – or heart – is, by contrast, little disturbed by thinking (in this compulsive, involuntary and continuous sense) or by emotion. It simply “is” – but in a very profound way. The presence that results from this “being” is enormously powerful and yet very subtle. This subtlety is best appreciated in deep, inner silence. This “sound of silence” is the nous’s equivalent of thought. It constitutes very profound awareness, most often expressed quite wordlessly. In some respects it actually is the “place of the heart” of which the Fathers speak, the part of the human personality which is forever listening to God. This is good advice from a saintly man, but never so practical as when applied to a parish, or a diocese, when it is meeting not at the Divine Liturgy (when the icon of the Church is most easily visible and where ego-boosting should be entirely lacking as being quite inappropriate to the task at hand) but as a quasi-democratic body, carrying out its work according to Robert’s Rules, or parliamentary or committee procedure. Once everybody in a parish has found out what ego-boosting is all about, it is possible to start eliminating it from meetings. Of course, to do this, each person has to find a way of staying “present.” If this is done by using the Jesus Prayer, such a task is best developed in the context of Confession, since while there are many ways of achieving this state of presence, there is no “one size fits all” method. Any person who acts in the role of spiritual father, mother or friend has had to learn the art of prayerful presence if they are to be of any use to anyone else. Stop listening to your thoughts – not the thoughts you have, but the thoughts that have you. They have nothing beneficial to offer you, and besides you have heard them all before. Brush them aside, and gently continue to brush them aside. Beyond their clamor and din there is available to you a level of greater awareness – a place of love, joy, peace and compassion. At first, it is difficult to “hear” it (since it is expressed in silence) but with practice you will start to recognize its voice, and a deeper state of presence will be yours. In practical terms, it may be appropriate to invite people to be present at the beginning of the meeting, and to maintain their presence throughout, each monitoring his or her own level. If things start to get un-present it may helpful for someone to call for the equivalent of a spiritual “time-out.” Indeed, this can be done at any time by anyone present enough to use those words. Those who are busy ego-boosting are not going to be present enough to seek such a solution, so it may occasionally fall to somewhat unlikely people to take that particular role. Gradually, people will learn to watch the process of ego-boosting developing in themselves. This is always more difficult than seeing it develop in others. A real breakthrough occurs in a parish the first time someone says something like: “Oh, I’m sorry… I realize I was about to indulge in a little ego-boosting.” Conversely, everyone needs to guard against using this statement as an accusation against someone else. That doesn’t work. Like all truly spiritual techniques, this one involves changing the world one person at a time, and that person is “me”! In spiritually developed parishes where the Jesus Prayer is a regular part of parish life (even though normally a private affair), it may be entirely appropriate to break off a meeting for intensive use of the Jesus Prayer, even communally, until everyone at the meeting returns to presence. The words of the Jesus Prayer (and other similar short prayers) lead us to that place of presence… not in a perfect way (at least not for most of us) but so much more perfect than defending one’s beastly little ego that it makes all the difference in the world. Another exercise which can be very instructive is to ask the members of the meeting to “become present” and then remain in silence until someone finds a solution to the problem at hand emerging from the silence. When someone has such a solution they state it quietly and without justification or commentary. The meeting then returns to silence, stilling all thought (which is likely to be nothing but reaction), and becoming more aware, until another person can do the same thing. Allowing everyone to speak if they want to, but restricting comments to positive suggestions, rather than a re-statement of the problem, allows the meeting to come to a consensus about what is being discussed. In spiritual decision-making, consensus is a victory. Compromise, by contrast, is the way of this world, and is rarely an acceptable solution. I think it needs to be said that, even in spiritually ideal conditions, ego-boosting is very difficult to uproot, since it has been a dominant form of behavior for thousands of years. Nevertheless, since Orthodoxy is all about transformation and transfiguration (not about “thinking” about transformation and transfiguration) we need to encourage ourselves to believe that change, both positive and permanent, is within our reach. In Scripture, we are commanded, “Be still and know that I am God.” Church meetings are a good, though not obvious, time to do just that. Yet it is that same John, the Beloved, who later leans upon the breast of Christ and listens to His heartbeat. The opportunity to be present like that in the Presence of God is the ultimate vocation of every single member of the Church; this is as true in church meetings of all sorts as it is in those precious “present moments” when we meet God in the Holy Mysteries. In order to be present, we need to get out of our heads, away from the anguish and relentless demands of our thoughts and feelings, and seek the warm, loving silence of the voice of God in our own hearts. Once present, the needs of the mind-contrived ego look petty, irrelevant and counter-productive to the work of the Church as a whole and that of each of its members… and the real work of bringing the Kingdom of Heaven a little bit closer begins. Fr. 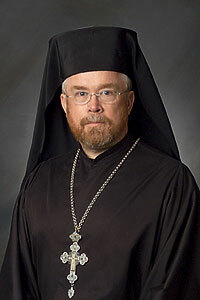 Meletios Webber has been a Greek Orthodox priest for over thirty years, serving in England, Greece and the United States. During this time he has also been actively involved in counseling, psychotherapy and teaching. He is keenly interested in the possibilities of personal transformation through spiritual means, and the exercise of traditional wisdom in straightforward and practical ways. His first book, Steps of Transformation (Conciliar Press) investigates the program of Alcoholics Anonymous from an Orthodox point-of-view. His second book, Shaped in Mystery: An Orthodox Experience of God, continues to explore the theme of personal transformation, more specifically within the life of the Church. It will be published by Conciliar Press early in 2007.